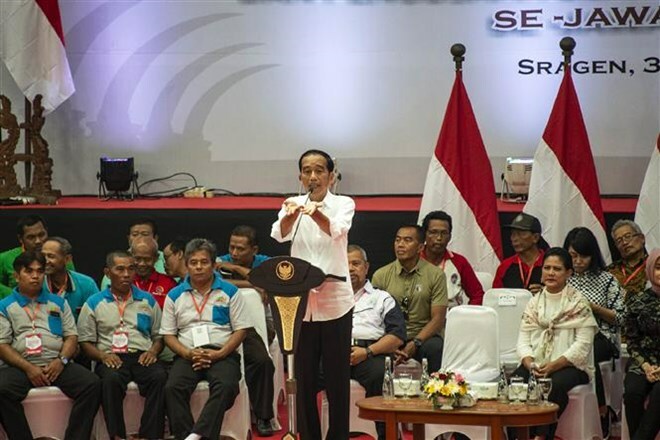 Jakarta (VNA) - Incumbent Indonesian President Joko Widodo temporarily take the lead in the presidential election held on April 17 as he has got more than 50 percent of vote cast, according to pollsters. According to results of research centres, Widodo holds a roughly 10 percent lead over his rival Prabowo Subianto. The official results will be released in May. Indonesia opened the polls to more than 190 million eligible voters on April 17 in one of the world's biggest single-day elections.